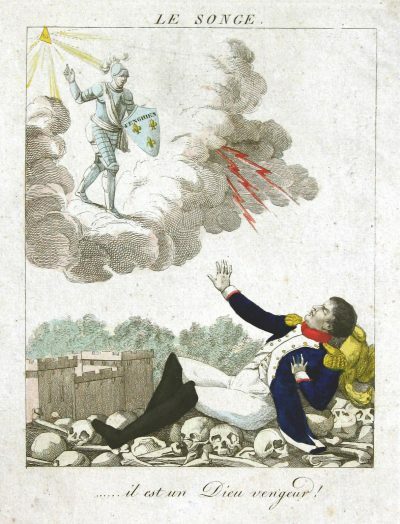 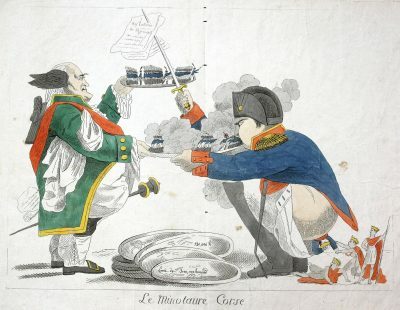 The contrast between the starving Frenchman and the well-fed Englishman was a traditional mockery. 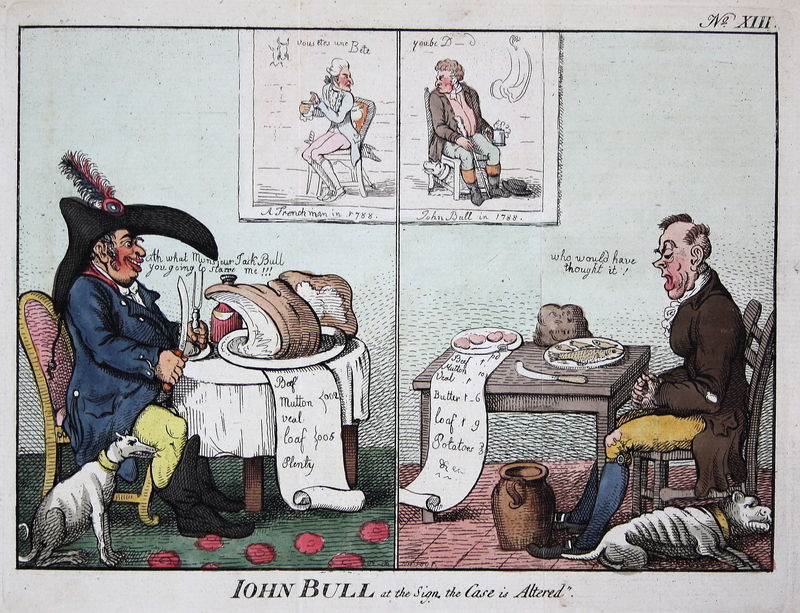 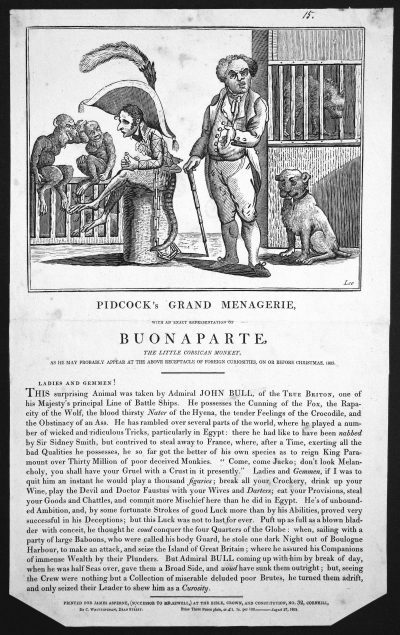 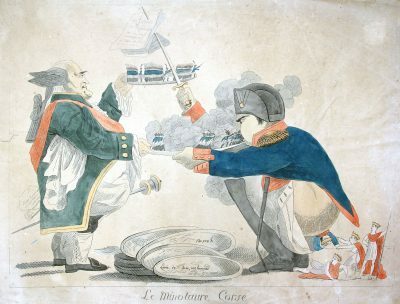 The present caricature shows a reversed version with a fat Frenchman and an almost starving John Bull. 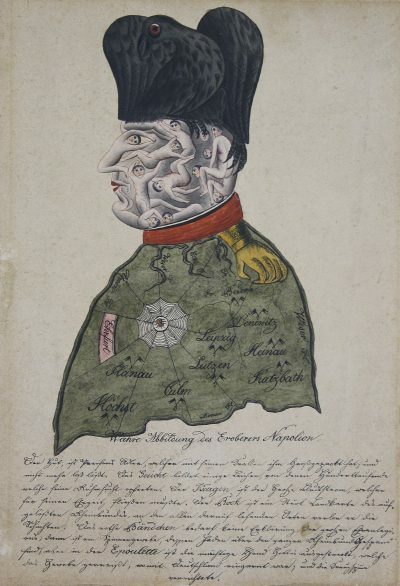 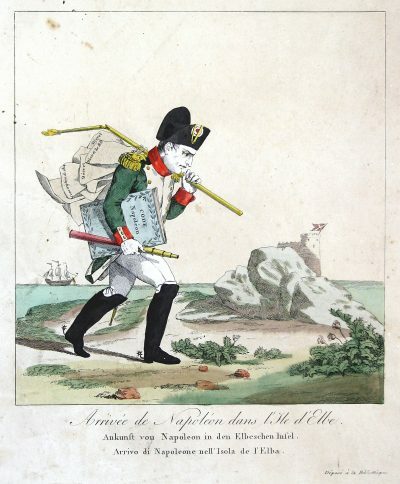 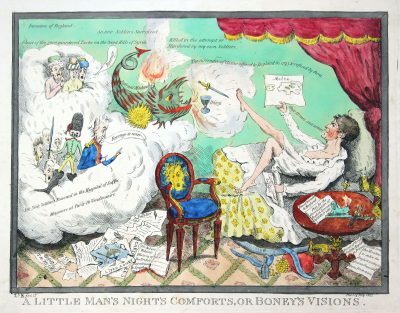 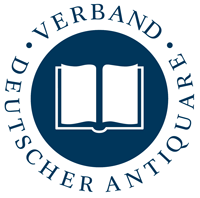 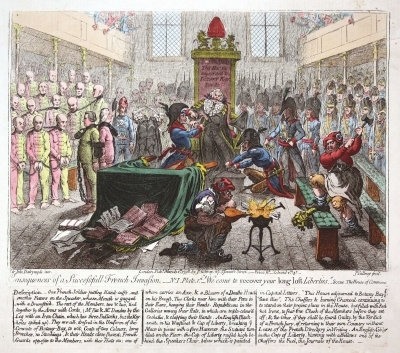 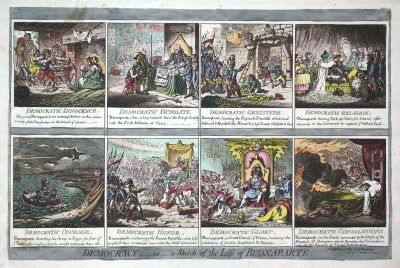 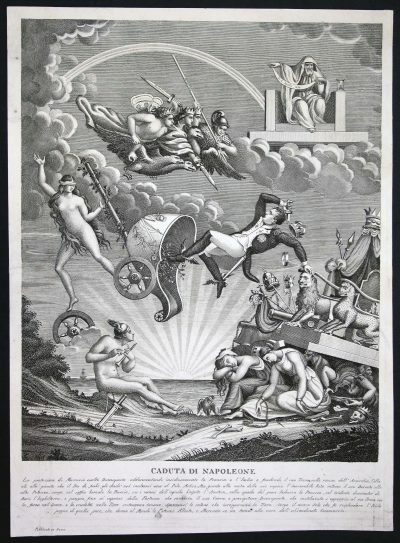 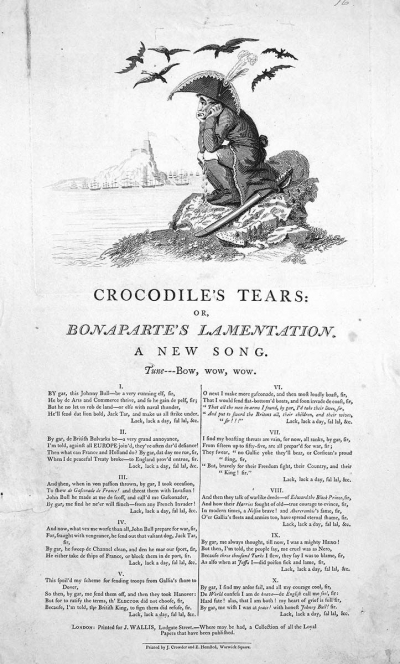 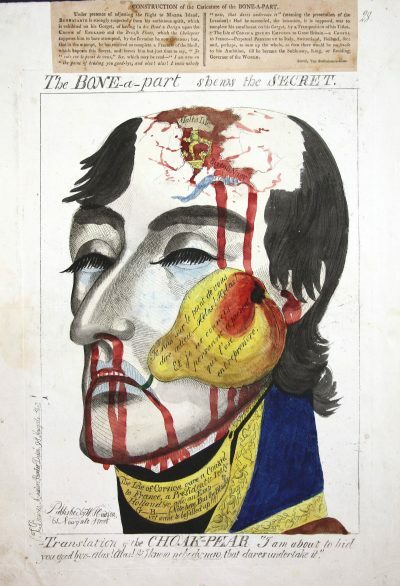 This is a reduced German version of Cruikshank’s caricature published 1801 by James Aitken in London.